As commander of the Allied Military Mission to the Greek guerrillas in Greece in 1943-4, C.M. Woodhouse has to hold an uneasy balance between the communist and government sides. Against a background of conflicting communist doctrine, shifting foreign alliances, territorial disputes and personality differences, the communist struggle for Greece unfolded in three rounds. 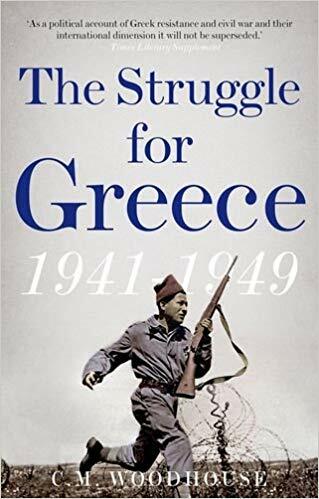 The first began in 1941 with the German occupation of Greece when the National Liberation Front attempted to regain control of the country and overthrow the monarchy. In the second round, the communists tried to seize power at the end of the German occupation in December 1944 and were frustrated by the intervention of British forces. The third round (1946-9) was marked by US intervention, UN fact-finding missions, and the shift from guerrilla tactics to conventional warfare. The communists were weakened by internal feuding and overcome by the US forces. The author based his research on interviews with participants, documentary sources and his own experience. He analyzes the characters, ideologies and events behind one of the longest and most bitter civil wars of modern times.